Rabbis: The End of the Left-Wing Signals the Beginnings of Messiah - Breaking Israel News | Latest News. Biblical Perspective. 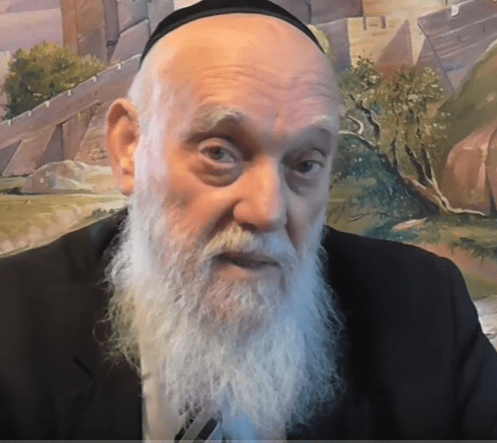 According to Rabbi Matityahu Glazerson, a Torah Codes expert, the political conflict between the left-wing and the right-wing is a mystical war that has Biblical roots. According to the rabbi, hidden clues in the Bible indicate that the Left-Wing will be defeated this year as a precursor to the Messiah. As in the US, the battle lines in politics are drawn according to religious observance. Rabbi Meir Mazuz, a leading Sephardic Haredi (ultra-Orthodox) rabbi in Israel who is the spiritual head of the Yachad political party, gave a speech last week in his yeshiva (Torah Seminary) of Kissei Rachamim (Seat of Mercy) in Bnei Brak. In the lesson, the rabbi described the imminent demise of the political left-wing and the corresponding rise of religion. This demise of the left was also discussed by Rabbi Glazerson in a recent video. Rabbi Glazerson agreed with Rabbi Mazuz’s assessment of the future of the left-wing. The rabbi noted that the name of the political movement has mystical connotations. Rabbi Glazerson explained this quality of contraction as it was exhibited by the erev rav (mixed multitude) in the Bible. The rabbi also searched for “Amalek,” a Biblical nation that has become the archetypal enemy of Israel, since he found an implicit link between all these concepts. Amalek is the grandson of Esau. His descendants formed the nation of Amalek that attacked Israel as they left Egypt. The attack was particularly despicable in that it targeted the weaker members of the people, children and the elderly. He found all of the words concentrated in the 25th chapter of Exodus. Rabbi Glazerson found the words “ketz smole” (“end of the left”) and “ketz erev rav” (end of the mixed multitude) and “Amalek”. All these phrases were adjacent to the letters tav (ת), shin (ש), ayin (ע), chet (ח). The numeric equivalent of these letters is 5778, the current year according to the Hebrew calendar. “King David’s successful war against the Amalekites will be replayed in the end of days as a part of the Messiah from the house of David,” Rabbi Glazerson explained, emphasizing that the code indicated that the process leading to the end of the left-wing would begin this year. The word smole (left) has a hidden connotation in Hebrew connecting it to ‘Samael’, the main archangel of death. The rabbi explained that in Kabbalah (Jewish mysticism), the letters sin (ש) and samech (ס) are interchangeable. This exchange of letters makes the word smole (שמאל) (‘left’) identical to the name Samael (סמאל). 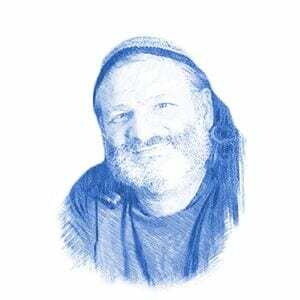 Rabbi Glazerson said that the left-wing combines the forces of Samael with Amalek.